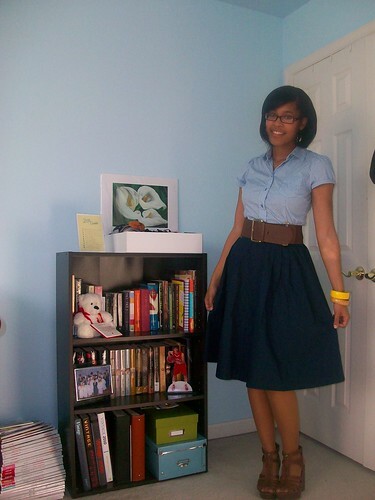 I really want to get more full skirts in my life. They make me feel fabulous and girly. 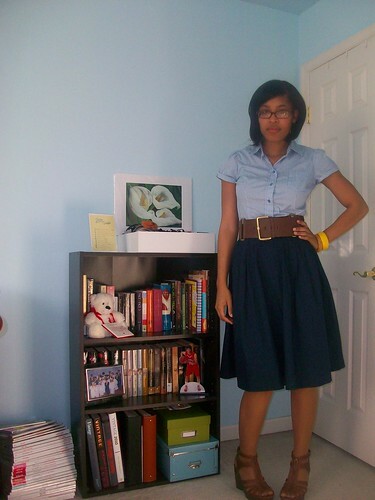 And I am all about being girly:-) Today I got inspiration from Kendi Everyday. Head over here to see the look that I copied for today. She actually has another post the next day with the similar look.